Feb 15 2019 Cats 2019 roadmap is published. For more detail about Cats’ motivations, go here. We have an exciting 2019 roadmap. 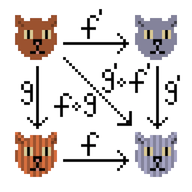 cats-mtl: transformer typeclasses for Cats’ Monads, Applicatives and Functors. Cats is still under active development. While we don’t anticipate any major redesigns, changes that are neither source nor binary compatible are to be expected in upcoming RC1 and 1.0 releases. By sharing the same set of type classes, instances and data types provided by Cats, projects can speak the same “Cats language”, and integrate with each other with ease. Here’s a (non-exhaustive) list of companies that use Cats in production. Don’t see yours? You can add it in a PR!